Dr Blood's Video Vault: I beat the Bewitched Kingdom! I beat the Bewitched Kingdom! 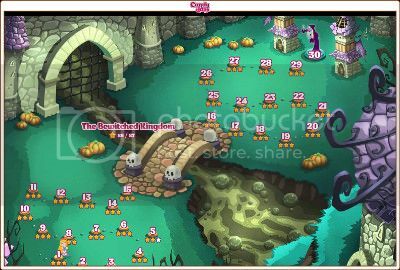 It's taken me months to do it, but I finally beat "The Bewitched Kingdom" on Candy Dash just in time for Hallowe'en. I obviously didn't get all of the stars - I got 86 out of 87 because level 5 was impossible to get more than 2 stars on even with a load of power-ups - but beating the final level is the only thing that really matters anyway. Yeah, I know it's just a Facebook game, but it made me almost happy.